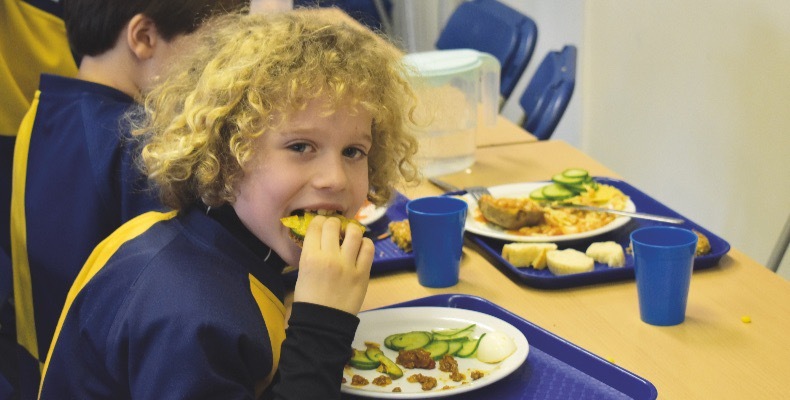 From nut and egg allergies, to gluten intolerances and religious stipulations, dietary needs and preferences are becoming the norm which means school dinners are about so much more than simply putting food on a plate and asking pupils to eat it whether they like it, or not. Admittedly food needs to be appropriate and have nutritious benefits, but students want food they enjoy eating, and parents need to know their children aren’t skipping meals and simply snacking during the day. So, how is the almost impossible being achieved? Jenny Tschiesche, The Lunchbox Doctor, understands that food preferences, combined with limitations on school menus as a result of the rise of food allergies, makes catering for children an increasingly difficult task. Most kitchens will have to ensure they are 100% nut- and sesame-free environments and may likely need to cater for both gluten and dairy allergy or intolerances. The desire to marry the shift in dietary requirements with changing times is something that many schools are embracing, and catering manager Jo Airey, employed by Holroyd Howe, who has the job of feeding the 450-strong community at Giggleswick School, is certainly rising to the occasion. She has won national recognition for her work and they get all areas of the school involved in the creation of meals and menus. Maybe it is this shift in children having a say in what they eat, something that only years ago wasn’t a consideration, that is having the biggest impact on food in educational settings? Knowing what works and what is being eaten during the school day is one thing but for those who board and don’t go home in the evenings or at weekends to eat with their families, they need options which will keep them away from the fast-food outlets and pizza delivery companies. At Giggleswick, it is the international students who often stay in school over ‘exeat’ weekends and the school use this as an opportunity to engage with the pupils, inviting them into the kitchen to cook with them and have some fun with their food, culminating in a special banquet. With curries, burgers and sushi being available at the swipe of a screen, Sodexo believes that school caterers need to provide nutritious food that mirrors what is available on the high street and that young people are interested in. Jeremy Alderton says: “This is especially important in a boarding school environment, for example, where they need to provide the kind of meals that they might be having at home on a weekend, such as takeaways. From gluten-free and dairy-free to vegetarian and vegan diets, there are many factors influencing the food choices of the children that eat with us, such as medical conditions, ethical reasons and lifestyle choices. It’s our duty to provide inclusive menus that enable pupils to eat together and enjoy dishes, whatever their dietary needs. It’s also our responsibility to fill any nutritional ‘gaps’ left by avoiding a food or food group in a tasty and tempting way. Avoiding or not being able to drink cow’s milk, for example, can risk leaving a shortfall on calcium, a mineral that is crucial for the growth of strong bones. Understanding that almond ‘milk’ is the only dairy alternative with a naturally comparable calcium profile means that we either provide this, or another alternative such as soy milk, that has been fortified with this nutrient. Similarly, pupils following a vegan lifestyle must ensure they get enough vitamin B12, those following a gluten-free diet can go short on fibre and those avoiding wheat need plenty of delicious alternative sources of starchy carbohydrate such as brown rice, quinoa and sweet potatoes. Knowledge is, as ever, power. Having the nutritional knowledge gives us the power to provide children, whatever their dietary needs, with the nutrients they need to grow, thrive and succeed. And we do this through exciting menus they can enjoy with their friends. 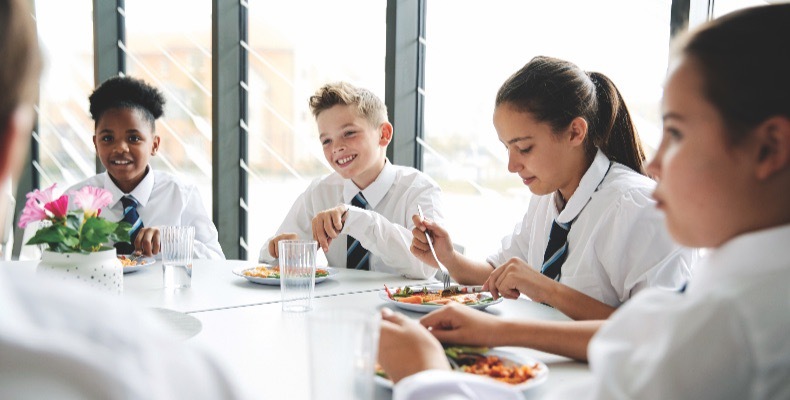 Today there is a growing belief that eating together should be a pleasurable experience at school, and enough time should be allowed in the school day for pupils to sit, chat and eat together. The idea of sitting in silence until your plate is clean, is a distant memory, but this means food has to be appetising and there needs to be an element of pupil choice and decision making. Louise Higson, further comments: “Through the Food Committee, the students have the opportunity to give their ideas to the catering team and this has increased the variety of what is on offer and ensures that nothing goes to waste. “With family dining in the Prep School, class teachers will encourage our younger pupils to try different foods, rather than sticking to what they know and like. Homemade soup, artisan breads and a salad bar offering a variety of foods and tastes, from pickled ginger to chickpeas, are available daily. Be it allergens, medical conditions, religion or lifestyle choices, dietary requirements and food preferences are constantly changing, and the goalposts never stop moving as children’s tastes continue to become more sophisticated. However, from what we have seen independent schools are keeping up with the pace and students are happy with the meals they are eating, which means that nutrition and wellbeing are still key in the canteen. Offering a variety of foods is key to providing nutritious food in schools. This can be achieved by including a range of starchy foods throughout the week as part of different food concepts, such as noodle bars. Too often on school menus, the starchy food element is potato or pasta prepared in different guises. By offering a variety of starchy foods such as bulgar wheat, rice, cous cous, noodles, sweet potato and cassava, you can cater for diverse cultural diets and all pupils will benefit from a wide range of nutrients. Including wholegrain varieties such as brown rice or wholegrain cous cous will also increase fibre intake, which is particularly low among children and young people, and can help avoid common problems like constipation. The portion of starchy food can be increased or decreased according to individuals’ nutritional requirements. An active teenage boy will require a larger portion to meet their calorie needs versus a prep school-aged child. Varying the starchy food element is beneficial from a nutritional point of view and also helps to cater for different dietary needs. The May issue of UB magazine is out now! The April issue of Independent Education Today is here!